Ahh Germany. The land of the great Nationalmannschaft, the team with such glorious World Cup and Euro Cup history (six trophies collectively) and who almost increased their collection by one in June, had it not been for the Spanish Armada and a certain Fernando Torres. Germany is also the homeland of prestigious club teams such as Borussia Dortmund, Schalke 04, and of course, Bayern Munich. Which brings me to talk to you about SoccerPro‘s latest soccer article I’ve had the pleasure to test: the Bayern Munich 2007-08 Jersey. I like the jersey itself, the colours, the pattern. In other words, I find it aesthetically pleasing and nice to wear. I like a particular player in that team. I like the team as a whole, and what it has achieved in that particular season. When I bought my Parma 2003-04 jersey, I found the gialloblu (yellow & blue) horizontal stripes very stylish. Also, I really liked the way Adriano had played that season, so I put “Adriano” and nº9 on the back (reasons nº1 & 2). 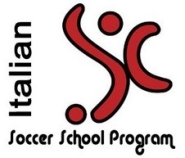 Another example: I would buy an Alessandro Del Piero shirt even if he went to play for Middle of Nowhere FC, Sanbenedettese, or a Serie Z team in San Marino. That’s how blind my faith for ADP is (reason nº2). As a last example, my 2002 Brazil “Cafu” shirt is an “all-of-the-above” case: I liked the bright yellow colours, Brazil had just won the World Cup with that shirt (which made it historically important), and on top of being a player I liked & respected, Cafu was the team captain (reasons nº1, 2, and 3). Now that I’ve explained my selection process, back on the subject at hand: the Bayern Munich 2007-08 Jersey, and what makes the shirt so special. Let’s backtrack for a second, and go back in time to Summer 2007. 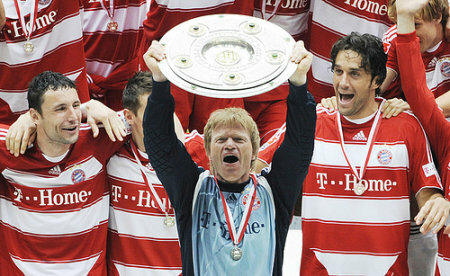 Shortly after the end of the 2006-07 season, the Bayern Munich board was faced with a choice. The club, despite all of its efforts in the Bundesliga and UEFA Champions League, had finished the year with winning… nothing. Zilch. Nada. Trophy-less. Not only that, but by ranking fourth in the final league standings they were also out of CL football the following year. For a team as prestigious as Bayern Munich, this was unacceptable. It was time for some changes. That is, among other things, get rid of some of the “old” components that were weighing down the team roster, and get back on the transfer market to find quality replacements. 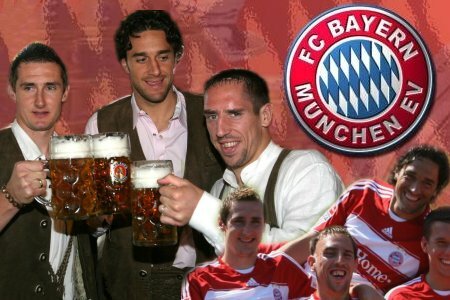 Thanks to the efforts of chairmen Franz Beckenbauer and Karl-Heinz Rummenigge, Bayern was able to sign (among others) players like Hamit Altintop, Miroslav Klose, Franck Ribéry, and Luca Toni. The last 3 players notably, would go on to form one of the most lethal attacking partnerships ever to set foot on German soil, with Toni scoring as many as 39 goals in his first year!! With that number, the ex-Fiorentina striker beat even the first-season record of a club legend like Gerd Müller!!!! Bottom line: historically, this is a pretty nice jersey to have, especially if (like myself) you happen to like Luca Toni. 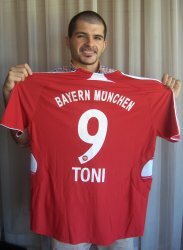 Needless to say, the number I’ve elected to put on the shirt’s back is precisely nº9 “Toni” (in the unique player-name-at-the-bottom style that’s so characteristic of Bundesliga teams). On top of that I find the shirt quite stylish with its horizonal red & white stripes, but that’s strictly a matter of personal taste. Now, SoccerPro have been a little bit understocked in Bayern gear lately, but Travis told me they just received a new shipment with more to come in the near future. 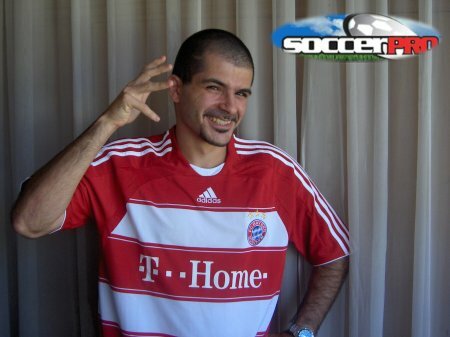 So make sure to check out SoccerPro for Bayern shirts, as well as any other type of soccer gear/memorabilia. This entry was posted on Friday, November 21st, 2008 at 11:00 am	and is filed under German Bundesliga, Sponsors. You can follow any responses to this entry through the RSS 2.0 feed. Both comments and pings are currently closed.